“4 The Children” is an umbrella organization of Court Appointed Special Advocates (CASA) of the Southwest. This program serves neglected children who are under court supervision. The requested funding will help with general operations as well as expand both the special advocate program and supervised parenting time. Funding from this special offering will help provide “la Plata Family Centers Coalition” the ability to provide additional services to foster children’s school readiness, positive parent/child interactions, as well as support the immigrant population’s development and integration into the fabric of our community. The “Guatemala Medical Mission” team’s mission is to assist the San Lucas Toliman Mission healthcare system in producing greater access on a more consistent basis to safe, quality healthcare. Their April trip will be their 13th trip to provide medical, dental, and optometric care. This offering will be used for direct medical expenses. During Thanksgiving week in 2018, our family did a mission trip in Cuba with Cuba Connection Ministries (CCM), directed by Willie and Yodalis Santiago. Under the communist economy in Cuba, the average citizen makes about $40 per month, and basic goods are expensive and in short supply, such as food, medicine, toiletries, linens, soap, and cooking oil. Loans are not available to average Cubans, making it difficult to build homes, businesses and needed facilities. In the midst of this communist regime, CCM ministers to the needy and brings the love and hope of Jesus Christ. CCM operates an organic farm that provides healthy food to the hungry. They minister to families with disabilities, providing them with basic necessities, medicine, prayers and friendship. CCM operates a Christian Church for women and girls, and works with other churches to help provide meals, medicine and necessities to the needy. Recently, CCM began helping a home that houses 75 elderly and disabled men. The facility is in a poor state, and the beds, wheel chairs and toilets are in terrible shape. It has a very small, inadequate hot water heater. Medicine and food are in short supply. They are trying to build another room, as they are overcrowded and 20 more men are waiting for beds. 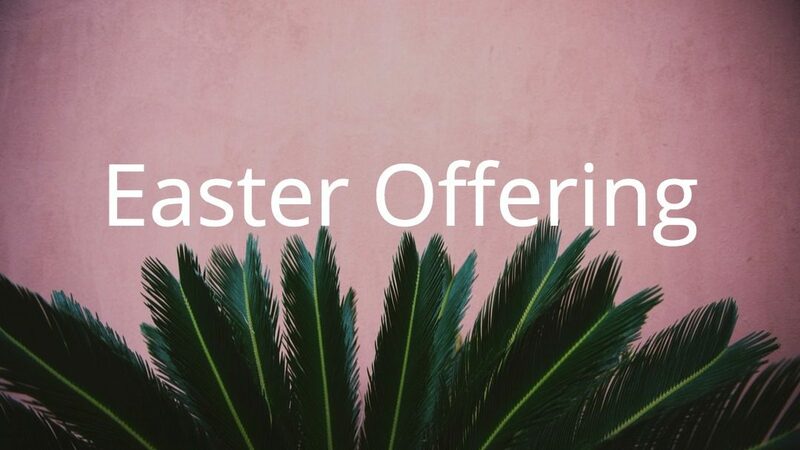 The Easter offering will help provide the following for the elderly-disabled facility: (1) a new room at the facility and beds and linens for the addition; (2) 30 new beds and mattresses to replace the dilapidated beds in the existing facility; (3) medicine, food, oxygen masks, and men’s clothing, especially shoes; (4) a vegetable garden to provide fresh food for the residents; and (5) general improvements to the existing structure including painting and repairs. Thank you for your support and being Jesus Christ to our needy brothers and sisters in Cuba.